For an artist, gone are the days of easels, bulky sketch pads and constantly losing your favorite pencil. With today’s fast-paced market, you need to be able to work efficiently, communicate constantly and share your work instantly. In order to compete as an artist and graphic designer, a digital notebook can be the perfect tool you need. This guide will offer a comprehensive look at one particular digital notebook. Wacom’s Bamboo tablet line has several models that can all offer you the flexibility and connectivity you need. 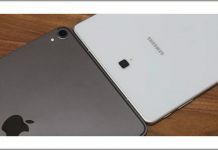 Here you will find all the specifications, pros and cons, and see how it compares to some competitors’ tablets. What Is a Bamboo Tablet? 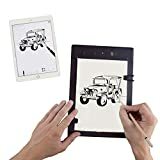 These unique devices look like a computer tablet but are specifically designed for drawing. The screen feels similar to paper, giving you a comfortable, nostalgic product that mimics your traditional sketchpad. However, it has far more features than a piece of paper. If you aren’t a designer, a digital notepad is also a great way to sketch out your thoughts and ideas about new products and services for your company. It’s easy to share these notes, as most digital notebooks can be synced online or converted into easy-to-share file formats like PNG, JPG or PDF. These unique computer devices are also becoming very popular in the classroom. Instead of struggling to get students to write on paper, some teachers use these devices to encourage students to practice handwriting. The interactive features interest students, and it is far easier to collect and grade than traditional papers and handouts. Assignments can be created on the teacher’s digital notebook and sent to each student. Whatever way you decide to use a digital notebook, they are becoming a vital tool for many different fields. The Bamboo product line features two categories of digital notebook and several options within each category. They are created by Wacom, a Japanese company that produces a wide variety of digital notebooks and related products. The Bamboo tablet line features Bamboo Folio, a portable model that comes with a convenient folding case. It also features Bamboo Slate. The Bamboo Slate tablet comes in two sizes: A4, similar to a full-sized sheet of paper and A5, similar to a half-sheet of paper. 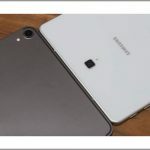 The product being reviewed in depth for this guide is the most popular, the Bamboo Slate A4 Smartpad. The unique feature of a Bamboo tablet is that you actually write on paper with a pen. Rather than replace paper, the Bamboo tablet is designed to augment your note taking and drawings on paper. The tablet holds a pad of paper and comes with a special pen. Once you draw or write on the page, you can click a button and automatically transfer the image as a file. You just need to have a phone, tablet or computer linked through Wacom’s app. It’s a convenient way to save your thoughts and sketches without losing the quality of writing on paper. It’s a feature that isn’t without disadvantages, but it’s one of the only tablets that uses this unique technology. 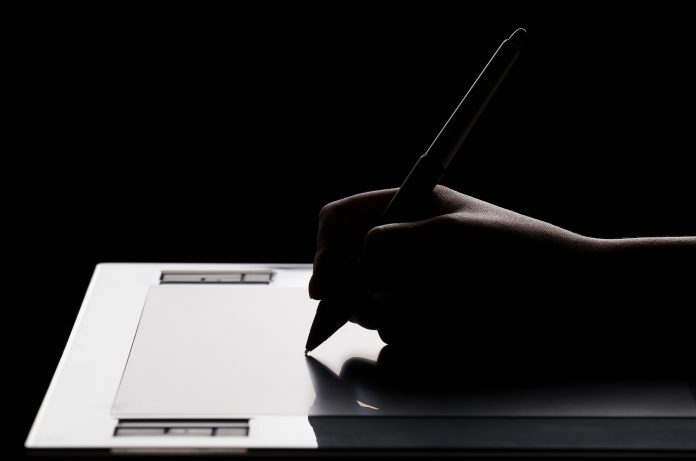 The Bamboo Slate A4 uses Wacom’s Inkspace app to connect easily to both Mac and Windows operating systems. It’s a free app with the option of a monthly subscription to Inkspace Plus. Inkspace has all the features you need to quickly and simply organize your files, but it is missing a few features. You can only select and export a single page at a time. If you are using your tablet for extensive note taking or if you make a lot of sketches in a short period of time, this feature is a bit clunky and takes extra time to access your files. Inkspace Plus has some great extra features, like text-to-typing handwriting recognition. 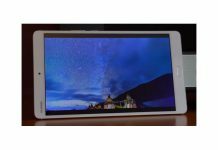 You can purchase the Bamboo Slate A4 at a very reasonable price for its competitors. Some other models are less expensive, but they usually are smaller in size. If you want a full A4-sized tablet, this is a competitive price and slightly less expensive than some competitors like the Iskn Slate. You can buy the Bamboo Slate A4 at a number of online stores including Wacom’s own website. If you are looking for a bargain, be sure to check online during holidays like Cyber Monday. The Bamboo Slate A4 is also available in larger technology stores and specialty computer stores. Prices can vary, so be sure to check out several markets before purchasing. Now that we have a comprehensive look at the features and specifications of the Bamboo Slate A4, here are a few competitive models that offer a similar experience. Each one will be examined in depth to provide an accurate view of the current options available for you. Whether you are looking for a simple way to jot down ideas or a high-quality device to create your graphic designs, these models all provide similar functionality. The Iskn Slate is an excellent model and is extremely flexible. It offers the ability to write and draw either on a piece of paper or directly onto the device. The pen has a great feel, and Iskn also has a device available to track the movements of your own pen or pencil. If you want pure flexibility, the Iskn Slate is an excellent choice. It also comes with a two-year warranty which is longer than most brands. However, the Iskn Slate is only about half the size of other devices. It fits a half-sheet of paper which is quite small for its price. If you are looking for a premium device to sketch on both paper and a screen, this is a good choice. However, if you need to write longer lists, draw larger pictures or want a more affordable option, the Iskn Slate won’t offer the features you need. 13.8x8.6 inch large working area and 12 customizable express keys. 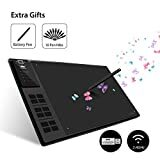 It is the largest graphics tablet in our store that provides enough space to freely draw on the tablet borderless and boldly.. 12 Customizable Express Keys set individual shortcut way to skip tedious typing and clicking time and improve efficiency. Suitable for both right handed and left handed users, the default mode is right-handed Mode. You can set up the left handed mode through the advanced setting in the driver platform. Support Wired and Wireless Working Modes: 2.4GHz USB receiver connect tablet and computer without any cable help to keep a clean and simple desk. It can be continuously used for about 40 hours without power cable connected due to the 2000mAh high capacity built-in Lithium battery. No messy cables trouble surrounded around computer. 2048 Levels Pressure Sensitivity, 5080 LPI Resolution, 230 PPS Report Rate, comes with a rechargeable pen P80 providing professional drawing experience. 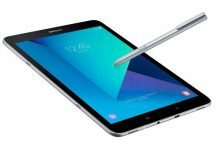 Every strokes you draw on the tablet can be precisely and originally recorded by pen and tablet and immediately display on your computer screen. 4 LED indicators show working status directly and obviously for you to adjust tablet into working status simply and quickly. Free gifts: 1 battery pen and 10 extra pen nibs. You have a replacement pen in case. The driver for WH1409 is in the USB receiver. 1 Year Warranty. This device boasts the largest screen of any tablet. The massive 13.8- by 8.6-inch writing surface gives you plenty of room to work with. However, it can be almost too big. It is bulky and less conveniently portable. It doesn’t offer any true paper writing, but you can draw or write easily on its smooth surface. It’s designed more for graphic designers with 12 programmable keys to use for quick commands. However, the keys are not very useful if you are just looking for a notepad to write out some quick ideas. The screen is far more sensitive than the Bamboo Slate A4 with a pressure rate of 2048. If you are looking for a large, sensitive pad to work on your graphic designs, this is a great tool. As a well-rounded and portable device, this is not your best option. Before the price turns you away completely, take a look at some of the incredible features of this tablet. Its screen is specially designed to look, feel and work just like paper. Instead of trying to scan your writing off of paper, this tablet lets you draw directly on the screen. You won’t have to worry about running out of paper, so it’s convenient for heavy use. However, at this price there are a few downsides. It can sometimes have problems with the writing surface which isn’t as accurate as it needs to be. It’s quite expensive compared to other models and doesn’t include enough additional features or quality to be competitive at this price range. When compared to the other brands, there are a few features that stand out with the Bamboo Slate A4. Here is a list of the pros and cons as well as an in-depth look at both lists. The Bamboo Slate A4 offers most of the same great features of its competitors in a practical, mid-sized model. Having the ability to write on actual paper is an innovative feature for digital notebooks. 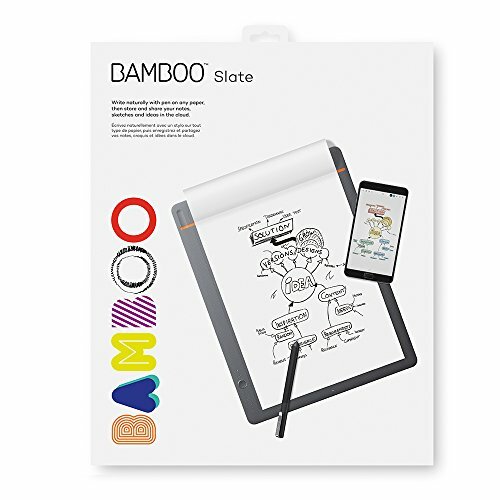 The Bamboo Slate A4 has a simplified setup which allows you to sketch and doodle easily without programming buttons or using extra sheets of paper. Its sleek design is made for both left- and right-handed individuals. The app is easy to install on almost any device which lets you begin drawing right away. The tablet is easy to charge, and the pen is not electronic so it doesn’t need batteries or a cable. It’s a great choice for someone who doesn’t want to learn a lot of extra features and use complicated technology. As one of the leaders in its field, Wacom has some of the highest-quality products in the market. The Bamboo Slate A4 may be lacking in certain additional features, but its quality and construction are some of the best available. The software is also exceptional. The Inkspace app is a convenient way to download and organize your drawings. Your Bamboo Slate A4 also comes with three months of Inkspace Plus. If you are doing extensive work on your tablet and need to share it with a variety of professionals, Inkspace Plus is a great option. You can send your files as SVG or PSD types in order to make it even easier to collaborate and edit your sketches. Wacom has designed text-recognition software that allows you to quickly turn your writing into text. It’s a feature that doesn’t always work perfectly but still saves you a lot of time and typing. If you are the type of person who easily forgets to buy more sketch pads or paper, chances are you’ll also forget to buy more paper for the Bamboo Slate A4. Using actual paper can be both positive and negative. Unlike the Iskn Slate, you can’t use your own pen or pencil but need to use the provided model. It’s comfortable and sturdy, but some customers felt it was too bulky and they would prefer a smaller, lighter option. 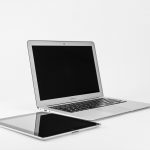 While the clean and elegant design is visually appealing, the lack of buttons can make graphic design work a much slower ordeal. If you like to write gently or add lots of shading to your drawings, the pressure level may be a bit too low for your needs. It picks up a wide range of pressures, but extremely light lines don’t always appear in the digital copy. The Bamboo Slate A4 is an excellent choice for a quick, simple and cost-effective alternative to paper-and-pencil writing. Its single button offers a quick way to digitize your notes or sketches. The Bamboo tablet doesn’t offer the wide range of options like programmable buttons or an extra-large screen, but it is a well-rounded option with a unique take on note writing. The Wacom Bamboo Slate A4 gets 3.8 out of 5 stars for its versatility and simplicity. If you need extensive shortcuts and a large surface, this is not the model for you. Graphic designers who use a lot of special features may find this to be too simplistic an interface for their needs. 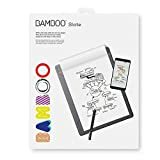 However, if you are looking for an inexpensive way to digitize notes and sketch on real paper, it’s one of the most durable, inexpensive and convenient tablets available.